WHAT a brilliant week it’s been for gardeners to get out and get hold of their plots. And hopefully the weather has stayed good for us to enjoy some events that spotlight how great our county is for gardens. The first pickings are coming thick and fast. I feel like the ‘strawberries and fresh peas from the pod diet’ suits me just fine, with new potatoes, garlic and onions forming the basis for meals for weeks to come. The blackcurrants are ripening beautifully, and the strawberries are my best yet. More varieties needed for next year though, to prolong the eating! I got to do some backbreaking weeding this week, and the hoe has been in full service. Sweetcorn, peppers, tomatoes, cucumber, courgettes, parsnips, beetroot and carrots are all growing well, a couple of pumpkin plants have gone in, and I replaced some of the missing bean plants. The beans aren’t doing so well for me this year. Not sure if it’s the weather or the slugs, but even quite large plants have wilted. Still time though, so I’ve planted yet more direct plus a few in pots at home. Beans are usually so easy! The flower garden is at it’s best, and I’ve cut lots of peonies and roses for vases indoors, something that I usually can’t bring myself to do. But everything is so floriferous this year it makes you want more freezing, snowy winters if this is the result. 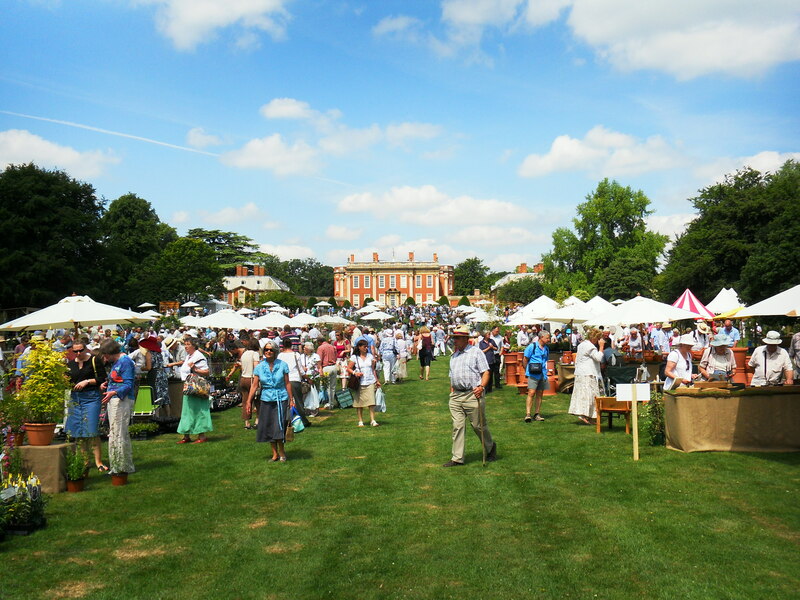 Away from home there’s the increasingly popular Cottesbrooke Plant Finder’s Fair on this weekend, with lots of specialist nurseries and top-class speakers including Alys Fowler of Gardener’s World fame, Dan Pearson and James Alexander Sinclair. Bring any excess plants you might have as there’s a plant swap, and make sure you give yourself time to look around the amazing gardens, which are under the competent stewardship of head gardener Phylip Statner. The show is attracting visitors from all over the country and this year is organised in association with BBC Gardens Illustrated and the Daily Telegraph. 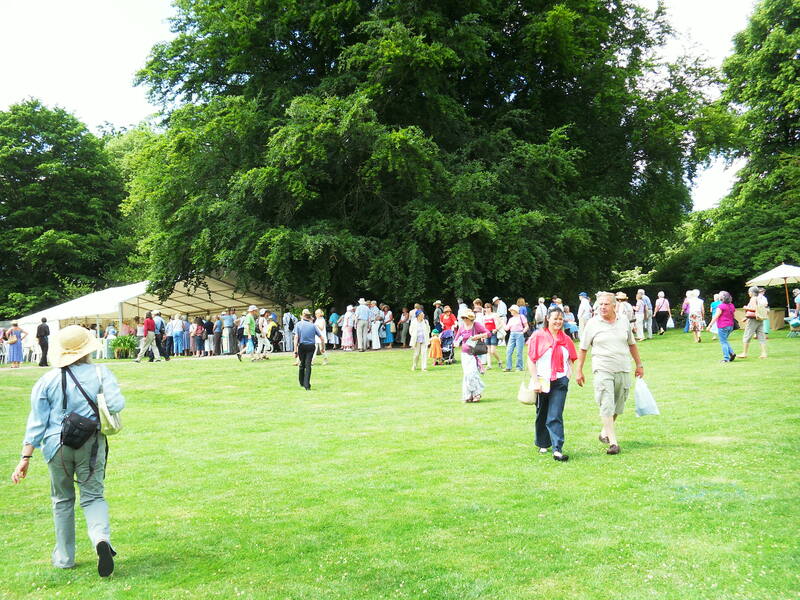 Entry is £7.50 which includes access to the gardens, with under 14s free. Make sure you bring cash as you won’t be able to resist some of the plants. There’s a plant crèche to help stash your purchases and a Punch and Judy show will be performing too. If the weather holds, the third year of this event looks set to be the best yet. It’s open 10am-5.30pm today (SAT) and tomorrow. Might see you there. . .
UPDATE: Went on Friday, wilted in heat, stupidly ignored own advice and wore high wedge heels and could barely stagger across poo-ey field clutching large rose bush. Queue to get in took 25 minutes, queue for food was shockingly long, £5 ‘surprise’ fee for speakers James A-S, Alys and Dan was cheeky when it had already cost £7.50 to get in. However, plants were lovely, weather fab, advice from growers invaluable. Roll on CPFF2011.